On November 1st, All Saints Day, the Church honors all the saints, both known and unknown, who lived and died holy lives and now enjoy the Beatific Vision. Many are familiar to us – those whom the Church has raised to the altar as saints and blesseds and who have been assigned a proper place in the liturgical calendar. However, there are countless others who are known only to God. 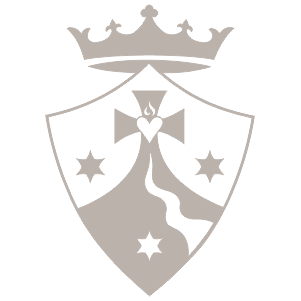 So too, on November 14th, does the Carmelite order commemorate all its saints, both known and unknown. The Carmelite order has been richly blessed with men and women, who have made this same earthly pilgrimage we are walking now. They stand ready to be our spiritual companions, to encourage us, to share their wisdom with us. From each one of these great saints we can learn something different about the beautiful spirituality that comes to us from Carmel. 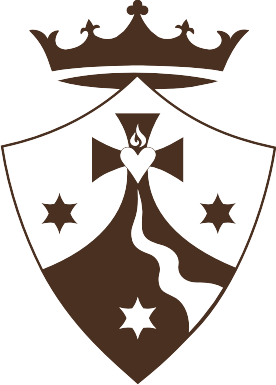 Beginning today through November 14th, these short posts will serve as a “Novena of blog posts” leading up to the Feast of All Carmelite Saints, and will highlight a different Carmelite saint each day and the very relevant lessons and wisdom they impart to those of us still making our journey toward God. From the great St. Teresa of Ávila, Doctor of the Church – “Doctor of Prayer” – we learn about prayer. Despite the loftiness of her thoughts and teaching, St. Teresa remains thoroughly approachable and her engaging nature shines through in her writings, drawing in the reader to want to absorb more of her wisdom. In her Autobiography, she introduces us to the levels of mental prayer: first, we must be searching for God; then we must be willing to spend time alone with Him; and we must look upon God present within our soul. She encourages us to speak (pray) to God, as we would speak with a close, dear friend: “Mental prayer in my opinion is nothing else than an intimate sharing between friends; it means taking time frequently to be alone with Him who we know loves us.” St. Teresa’s relationship with God can truly be called one of a loving friendship and she spurs us on to use her same approach ourselves. Although intended as instruction for her spiritual daughters, St. Teresa’s “down to earth” advice allows even the beginner to gain immediate understanding in how to develop a deeper, more mature prayer life. 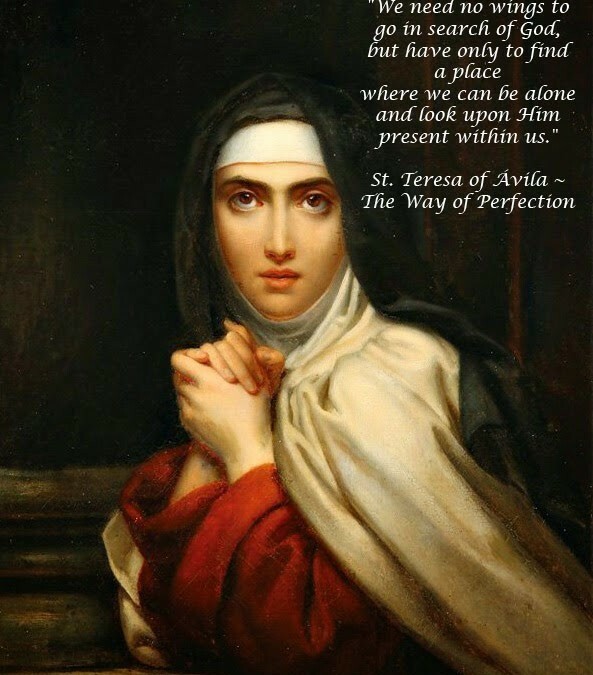 As such, St. Teresa is indispensable as one of our spiritual companions.